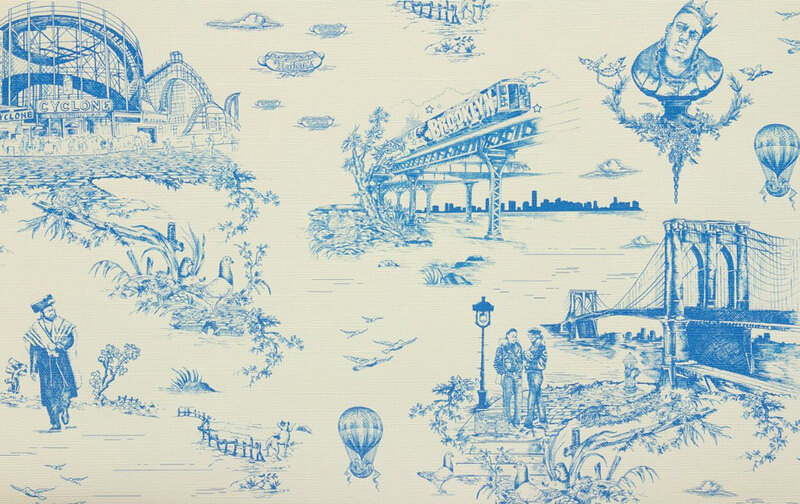 When you think of toile, the Beastie Boys do not come to mind. 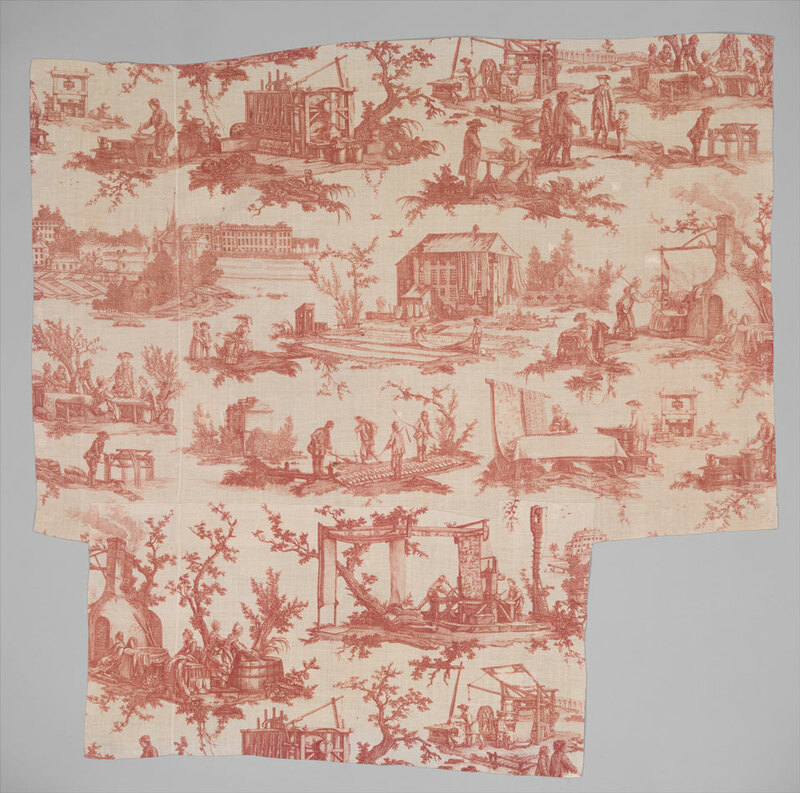 Toile or Toile de Jouy (pronounced twahl de zhoo-E) is named for the village Jouy-en-Josas near Versailles where Christophe-Philippe Oberkamph (1738-1815) founded his textile factory in 1760. The location, being close to the court of Louis XV assured an affluent clientele who appreciated the high quality and unique design of the fabrics produced there. Over the years, superb artists, including Parisian painter Jean-Baptiste Huet, were employed to create the detailed designs and patterns. Typically, toile is a monochromatic design on a white or cream cotton textile. The subject matter is often a pastoral scene. The Metropolitan Museum of Art in New York has pieces of Huet’s work in their archives including the example below – Les Traveaux de la Manufacture (The Activities of the Factory). Here we can see the artists sketching, dyers mixing colors, printers using blocks to transfer the patterns and finished cloth stretched out to dry on the ground. It is a wonderful story. Our Beastie Boy, Mike Diamond (aka Mike D), consulted with Vincent Ficarra and Adelea Qersaqi of Revolver New York. Together they created his Brooklyn toile. Flavor Paper produced the design on wallpaper. It is an homage to the aspects of ordinary life in the borough of Brooklyn. Everything from Coney Island, the elevated subway, Nathan’s hotdogs, Hassidic Jews and pigeons in the park are represented. Proving that everything old can be new again.